The Irish couple who survived the partial sinking of the Costa Concordia Italian cruise ship have arrived back in Ireland. Séamus and Carol Moore from Clonmel in Co Tipperary were aboard the ship on Friday evening when it hit a sandbar. They were greeted by family and friends when they arrived into Dublin Airport this afternoon. They are relieved to be back, they said, adding that at one point during their ordeal, they feared they would lose their lives. 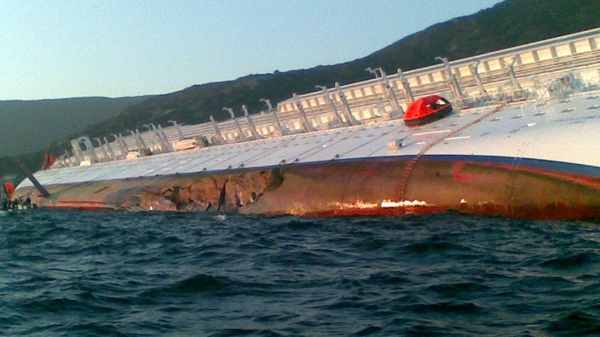 The Department of Foreign Affairs has confirmed that a third Irish person was aboard the stricken ship. They said the man was safe and well. Earlier, two bodies were found on the cruise ship grounded off a Tuscan island, taking the death toll in the disaster to five. Divers found the bodies in the rear of the submerged part of the ship which keeled over after hitting underwater rocks on Friday. The two elderly men were trapped at an assembly point on the vessel. Italian rescue workers are continuing to search for at least 15 other people still missing. Rescue workers, including specialist diving teams, are working their way through more than 2,000 cabins on the vast ship. There is a growing demand for answers over why the vessel had come so close to the shore and bitter complaints about how long it had taken to evacuate passengers. Passengers told of people leaping into the sea and fighting over lifejackets in panic when the ship hit a rock and ran aground. Captain had made "errors of judgment"
Costa Crociere, the owner of the luxury liner has said that the vessel's captain had made "errors of judgment". "It seems that the commander made errors of judgment that had serious consequences," said the company, which also acknowledged that emergency procedures had not been followed. The company has been cooperating with the prosecutors investigating the accident who yesterday ordered the arrest of the captain, against whom serious allegations had been made, said the statement. The company added that "his decisions in the management of the emergency did not follow Costa Crociere's procedures, which are in line with international standards". 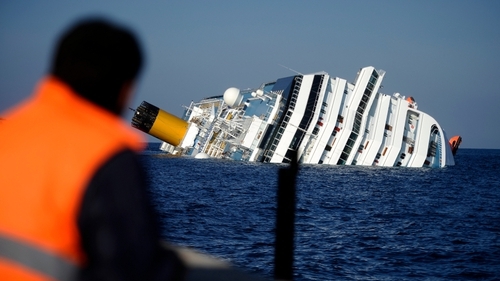 Captain Francesco Schettino, who joined the company in 2002 as head of security before being promoted to captain in 2006, had completed all the necessary training for his post, Costa Crociere said. He is being held in jail accused of multiple manslaughter, causing a shipwreck and abandoning ship.